We wish you an absolutely awesome Happy New Year & welcome you back to our first new challenge of 2019. Thank you to all the participants who entered our challenge last month & we’re grateful for you sharing your amazing talents with us. We had an awesome turnout & loved visiting your blogs to see all the wonderful projects you had created. Before we step forward, I want to thank all of you for entering our challenges. If it wasn’t for you, our followers, the Papercraft Business Challenges wouldn’t be possible. 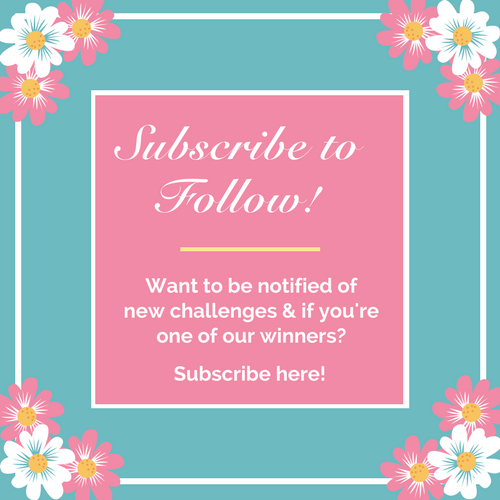 We are now into our 2nd year of the challenge blog & we’re looking forward to bringing you more fun with challenges this year. What’s New For Papercraft Business in 2019? 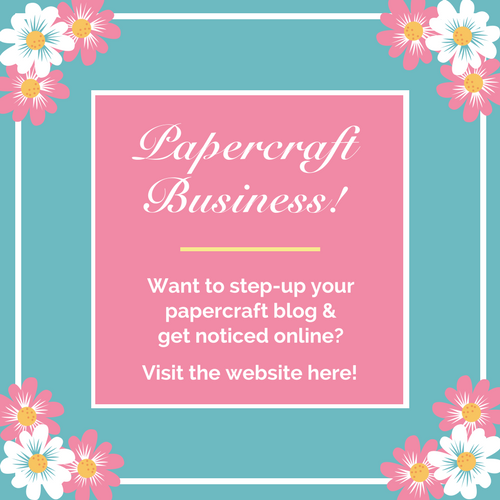 I have many new & exciting plans for the Papercraft Business website in regards to helpful content & digital products for papercraft bloggers, like yourself. I will be sharing information on how you can gain more traffic to your blog, how to step up & improve your blog so you can stand out online, etc. There will also be a post about how entering challenges can benefit you & your blog. Just little bits of insightful info that maybe you haven’t even thought of yet that may be of value to you. This year I will also be releasing at least two new digital products for papercrafters. Both are currently in design mode already & are aimed at helping you to work out your goals, to organize your Design Team commitments & encourage you to stay on track, etc. If you would like to know what the two digital products are & to be updated when they are released, please join my newsletter email list by clicking here. You will be one of the first to know exactly when they become available to you. So, let’s get on with finding out who our challenge winners are from last month. Thank you to all those that entered the December challenge. You certainly made it difficult for us to choose as they were all such great creations. Remember, if your name isn’t mentioned this time around, don’t be disheartened as we’d love to see you giving it another go this month. You have been randomly selected to receive the December Challenge prize. Please email me (address on rules page) with your postal address by the 19th January 2019 to claim your prize. You are our Ultimate Designer Winner for the December challenge. We loved your style & enjoyed your way of bringing your mixed media talents into your cards. Gorgeous! Our January challenge theme is: Anything Goes! (Optional: New Beginnings – For an extra entry to WIN the prize). Now it’s your turn. What are you going to share with us so that you have the chance of winning the prize? Remember, if you would like TWO chances at winning the prize, you need to create a project using this months challenge theme: New Beginnings. Please be sure to check out our challenge rules & guidelines to ensure you have the best chance possible to win. Remember, you can only submit up to 3 projects otherwise you won’t win the prize! Have you got your Challenge Planner yet? 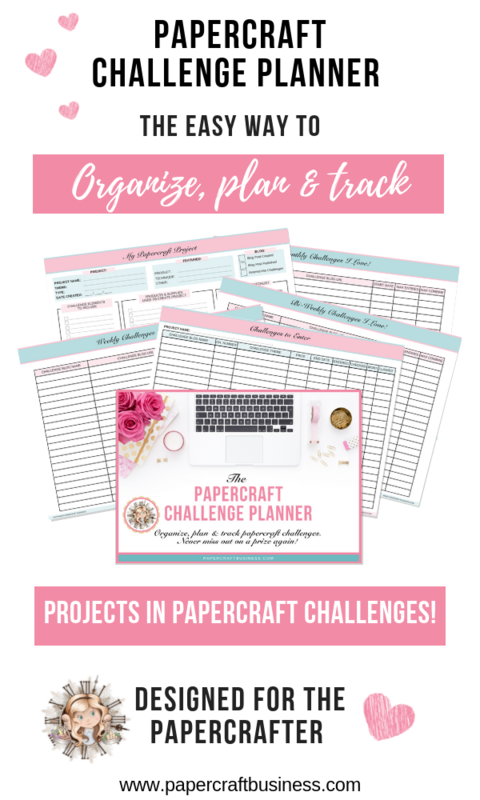 It’s an easy way to organize online papercraft challenges. Would you prefer something that helps you with setting your goals or to help you stay more organized with your Design Team commitments? We can’t wait to see your creativity. 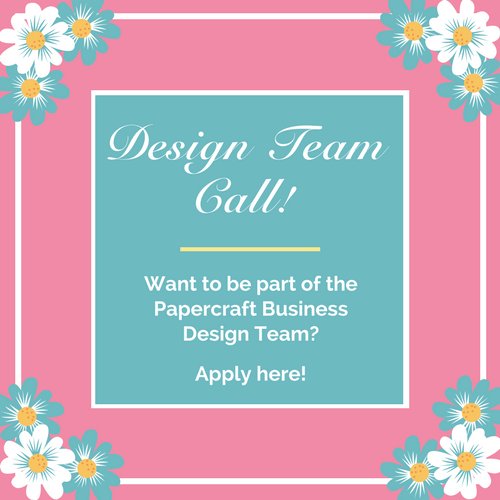 P.S We are looking for new Design Team members, so if you would like to join our team please check out the DT Call so that you can apply. Merci beaucoup à la DT du choix de ma carte pour le prix ultimate designer challenge de décembre. Je suis très honorée. Félicitations à toutes les autres gagnantes. Bonne année 2019. Joie, santé, bonheur à toutes et tous. Thank you very much to the DT for choosing my card for the December ultimate designer challenge award. I am very honored. Happy New Year 2019. Joy, health, happiness to all. So pleased to be one of your Top 5! Thank you so much! Congratulations to the other winners! Im happy that my card is in top!